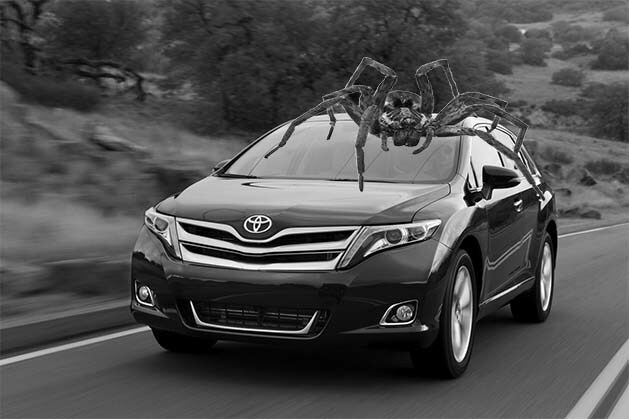 Spiders have recently organized another offensive assault against the auto industry, this time taking their operation to late model Toyota sedans. Last week 2012 and 2013 Camrys, Venzas and Avalons were recalled by the manufacturer to fix a spider-web problem in the air conditioning line that ultimately causing malfunction in the airbag’s electrical system and deployment mechanism. Pretty sneaky if you ask us. It so happens that this rogue band of spiders, their species yet to be identified, discovered that by blocking the drainage tube that relieves condensation from the a/c condenser, that water would eventually find it way to the airbag control module, causing all sorts of malfunctions to occur. In some cars the shortage was causing the airbag warning light to display improperly, while in others it was triggering the deployment of the driver-side airbag. How’s that for enriching your morning commute? A little coffee. A little talk radio. A little… BOOM! 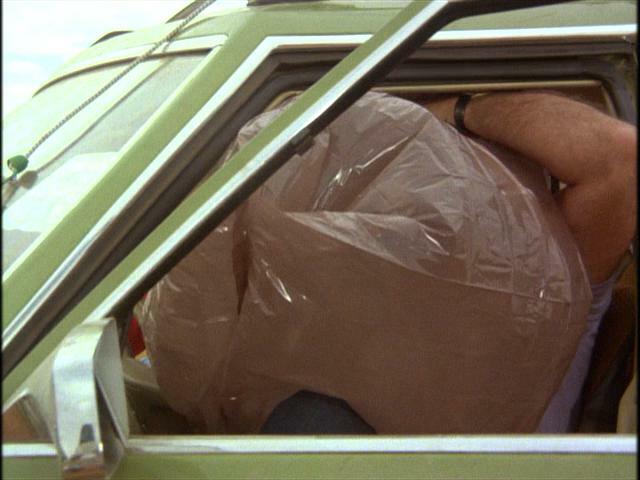 Next thing you know you’re Clark Griswolding it down the highway at 70 mph. Unnecessary airbag deployment being linked to spiders in the a/c lines. No. You’re fine. Your airbag just decided to deploy because you’re under attack by an unidentified spider. Keep calm and resume to work. Does any of this spider mischief sound familiar? Well, it should. Two years ago Mazda ordered a recall of their Mazda6 sedan after yellow-sac spiders where found causing problems in the vent lines of the fuel tank. Toyota’s recall, which affects nearly 900,000 cars, is asking for drivers to bring their car into the nearest dealership where the fix will be made at no charge. Pest control, however…well, that’s a different issue.